This evening I am following the ‘Great Friday’ or ‘Good Friday’ processions with the Epitaphios through the streets of Thessaloniki. 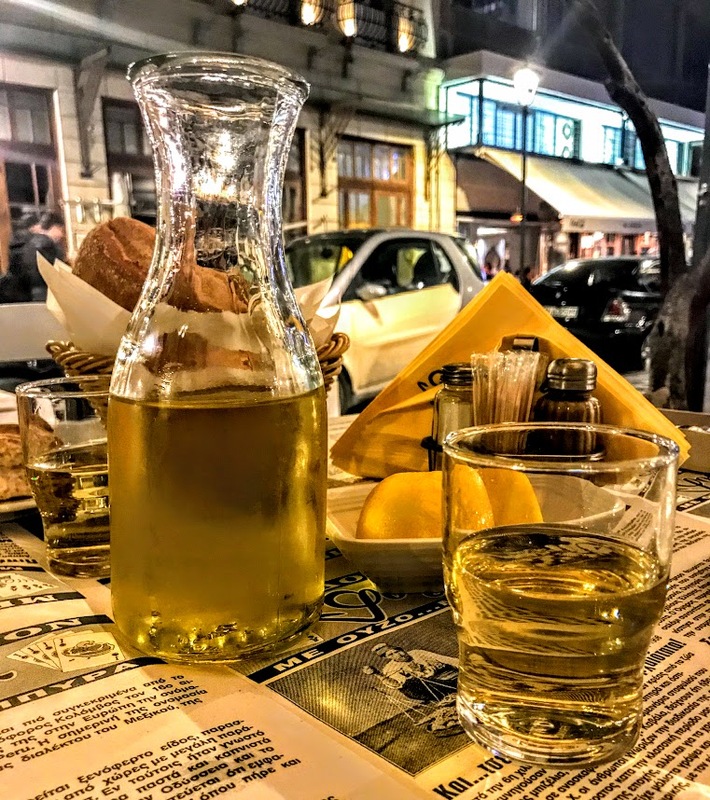 Many restaurants in Thessaloniki have been offering ‘Lenten Menus’ this week, for Greeks who are observing the closing days of Lent. 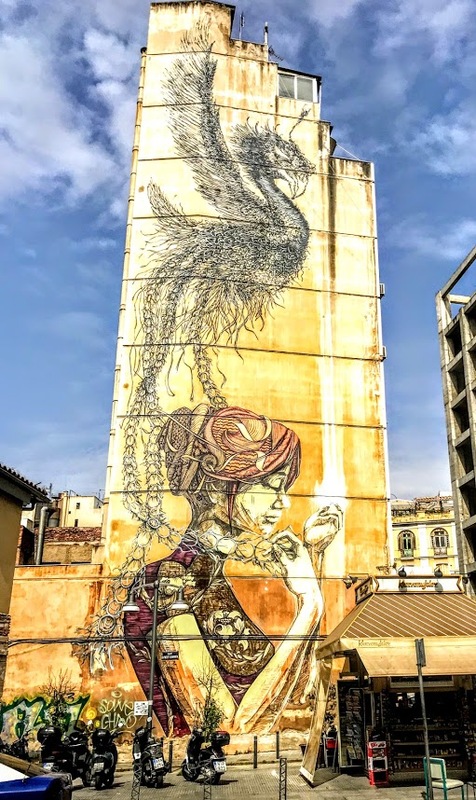 For the past two evenings, we have been eating in the evening in Ladadika (Λαδάδικα), an old landmark area just five minutes’ walk from where I am staying. But in the years before World War I, this area beside the port became a red-light district with many brothels. The last olive oil shops started to close, and by the 1970s much of the area had been abandoned. 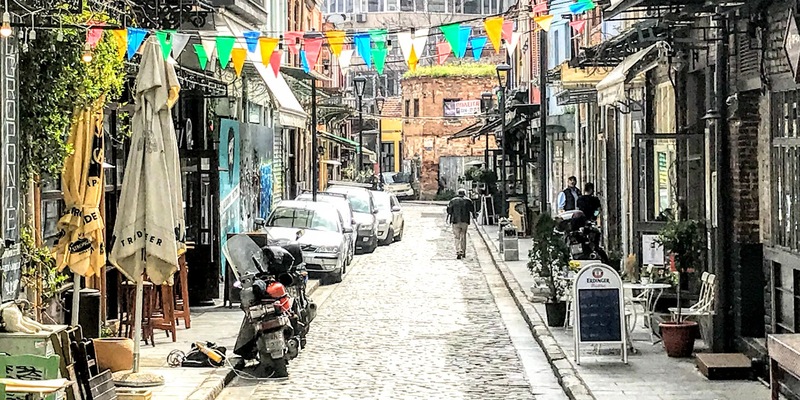 However, the lack of fashionable commercial and industrial interest in the area also helped ensure the survival of many of its 19th century buildings, with their notable architectural styles. Ladakika began to experience a process of ‘gentrification’ in the 1980s, and in 1985, it was listed as a heritage site by the Ministry of Culture. In 1992, the Ladadika neighborhood was included in a new urban planning and improvement project. Hundreds of buildings from the inter-war period were restored and declared protected historic landmarks. 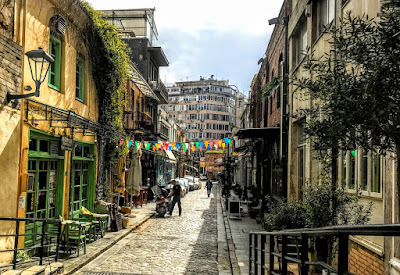 Today, Ladadika is the entertainment district of Thessaloniki, with the narrow, cobbled streets lined with bars, nightclubs, restaurants, and pubs housed in former old oil stores and warehouses. 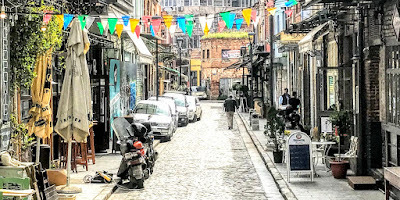 During the day, this is a quiet and atmospheric area to stroll around, but Ladadika comes to life in the evenings, when there is a buzz about the place and life spills out into the maze of small squares and cobble-stone pedestrianised streets. The area has an atmosphere that is a balance between Trastevere in Rome and Temple Bar in Dublin, with restaurants, cafés, espresso bars – and there is even a pub called the Dubliner. Over the last two evenings, I have had dinner in Full Tou Meze, beside the old fountain, and in Negroponte in Ladadaika. Last night, after dinner in Negroponte, there was a surprise text inviting us to join old friends who were still having dinner a few minutes’ walk away in Agioli, a restaurant in Leoforos Nikis, close to the corner of Aristoteleos Square. We spent the last hours of the evening with friends and with panoramic view of the sea front, from the White Tower to the old harbour.